PlayThe Strang Depot comes back to life! Our newest model is ready for display. Click here to view the construction. Our OPHS exhibit space is open! Visit our dedicated page to see the vision, construction and opening! Sharing the past is our future! 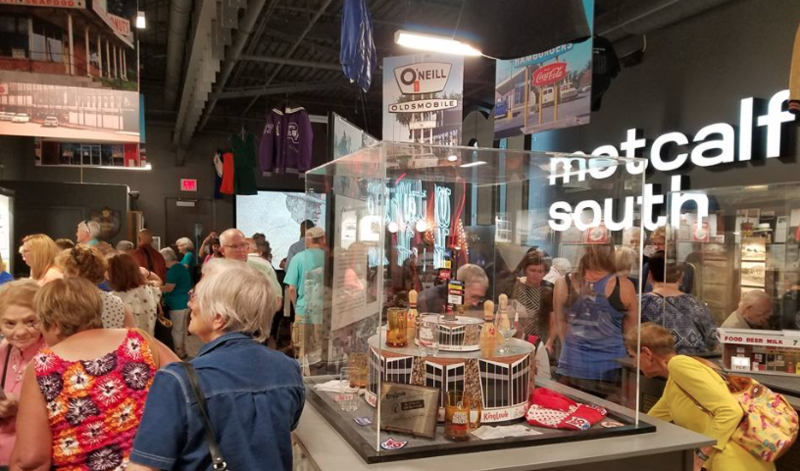 The Overland Park Historical Society is dedicated to identifying and preserving the history of Overland Park, Kansas. We maintain a large collection of historic photographs, artifacts, and documents which are available for research at the society headquarters located in the Strang Carriage House in Santa Fe Commons Park. A variety of books, postcards and videos are available on our SHOP page. Stop by and find the perfect gift for anyone interested in community history! To learn more, click on the icons below. The society owes a debt of gratitude to many individuals and businesses along with the City of Overland Park, the Overland Park Heritage Foundation, the Johnson County Heritage Foundation, and to those generous OPHS members, whose support enables the society to publish historical books and videos, provide tours, and produce a special new exhibit in the Historic Stanley Bank on the history of Overland Park.